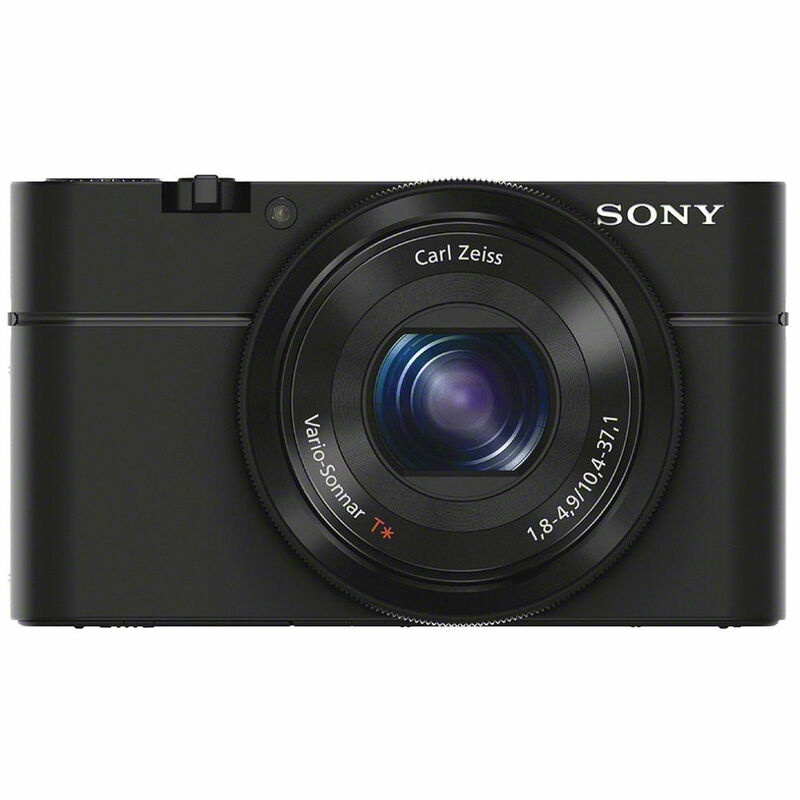 The RX100 is loaded with shot-enhancing features and high-quality components. The Exmor CMOS image sensor and refined BIONZ image processor work together to facilitate fast DSLR-like focusing speeds even in low-light - and without sacrificing any detail. The lens supports 3.6x optical zoom and 7.2x clear image digital zoom. It also features a multi-layered T coating that dramatically reduces ghost and flare caused by light reflection. For added convenience, the RX100 is equipped with a 3" Extra Fine LCD display so you'll be able to quickly scroll through menus and pictures. The display even features WhiteMagic technology for increased visibility under intense sunlight. Other features include a customisable function button that supports up to seven different functions and a memory recall (MR) that can memorize up to three groups of preferred settings. The camera also features Optical SteadyShot with Active Mode, which eliminates blurry images when you're walking with the camera. Sony's even bolstered the image stabilisation with an electronic image stabilisation that affords blur-free movie shooting and steady zooming in unsteady situations. You can use the Auto Portrait Framing function to capture an additional, beautifully framed and balanced full resolution portrait, when you're out shooting stills. The camera also supports four focus modes, auto HDR, multi-aspect ratio recording, a digital level gauge, multi-frame noise reduction and much more. The massive 20.2MP Exmor 1" CMOS sensor captures ultra-high definition images that take full advantage of the camera's sharp Carl Zeiss Vario-Sonnar T lens. The sensor enables advanced column A/D processing that reduces noise levels, resulting in astonishing low light images with incredible smooth and clear details. The RX100 saves pictures as compact JPEG files and/or ultra-high quality RAW files. RAW files save images prior to de-mosaicing, white balance, sharpness and color enhancement. This retains maximum latitude for enhancing the image on your PC. Record crystal clear movies in Full HD 1080p at 60 fps. This provides stunning, fast motion video with less distortion for playback on your HDTV. Plus, with dual recording for stills and movies, you can shoot both at the same time. Capture incredibly clear low-light pictures without sacrificing detail, thanks to the low-noise Exmor CMOS image sensor and refined BIONZ image processor. To improve focusing speed and sensitivity, the Exmor CMOS sensor uses its rapid throughput to deliver high-quality image signals to the camera's BIONZ processor, which provides intelligent response data to a high-speed actuator motor in the lens. The result is fast, DSLR-like focusing speeds even in low light. Capture full 20.2 megapixel resolution images at up to 10 fps, helping to ensure that the decisive moment is captured such as the soccer ball flying into the goal. In addition, a mechanical shutter helps reduce distortion when continuously shooting moving subjects. Optical SteadyShot with Active Mode enables blur-free movies even while walking. Plus, the camera-shake compensation using Optical SteadyShot/Active Mode has been improved with the addition of electronic image stabilisation, which makes it easier to obtain sharp, blur-free movies even when zooming in unsteady situations, such as shooting with one hand while walking. Simply photograph a person and Auto Portrait Framing will save an additional, optimally framed image in portrait or landscape orientation. This mode combines Face Detection and By Pixel Super Resolution technologies with rule of thirds to provide beautifully composed and appealingly balanced full resolution portraits. The camera can automatically detect and register up to eight individual faces and adjust focus, exposure, white balance and flash to help deliver crisp, properly lit images of family and friends. You can even prioritise children or adults. Capture still images in any of four aspect ratios - 1:1, 2:3, 4:3, or 16:9 (vertical to horizontal). This provided the freedom to choose a ratio that matches the scene or the specific shooting purpose. Most digital zooms use electronic cropping to get closer to the subject, resulting in decreased image sharpness. With Clear Image Zoom the powerful processor compares patterns found in adjacent pixels and creates new pixels to match selected patterns, resulting in more realistic, higher-quality images. Clear Image Zoom digitally doubles optical zoom for closer photos. In this mode, the camera automatically shoots multiple images and layers them to produce a single noise-free image. This method provides noise reduction equivalent to a 2-stop lower shutter speed while maintaining the same aperture setting. Since the Multi Frame NR mode can be used in combination with P/A/S/M modes, it expands the user's shooting flexibility. The Photo Creativity interface enables you to easily enjoy the creative expression of SLR-quality digital imaging without complex jargon. Changes can be combined, removed and viewed in real time on the LCD display, which makes it a breeze to make adjustments. Choose from several different Photo Creativity functions using the convenient control wheel and center button including: Picture Effect, Background Defocus, Color, Brightness and Vividness. Picture Effect is a fun and simple way to convert ordinary landscapes and portraits by heightening mood and emphasising certain attributes. Effects include: Soft Focus, Posterisation, Retro Photo, High Contrast Monochrome, Rich-Tone Monochrome, Miniature, Soft High-key, Toy Camera, Pop Color, Partial Color, Watercolor Painting, HDR Painting and Illustration. Capture expansive landscapes automatically. Press the shutter and sweep vertically or horizontally. The camera does the rest by continuously shooting images and stitching them together.